When you want to drive around the Universal Studios in great style and luxury, then what you need is the Universal studio Hollywood limo. There are so many different choices that you can go on to choose from that you might be overwhelmed by them.The Universal studios Hollywood limo can be the most classic and elegant of choices that you can choose from. They go on to offer the passengers riding in it the best of comfort and ease of travel. You will love the way you can get a limo for as many people as you have in mind. You might want to go ahead and choose a town car or a luxury sedan that can ferry with ease up to 4 passengers and their luggage. If you want to take in all that the Universal studios Hollywood theme park has on offer, and to drive around like royalty then the Universal studios Hollywood limo will certainly work for you. The theme park attracts tons of tourists every single day and you will love the way you can enjoy with your family and friends seated in the Universal studios limo. If you are at Los Angeles, then this is one place that will require a whole lot of time to take in and enjoy. If you are tired from the traveling then you won’t be able to enjoy all of it. 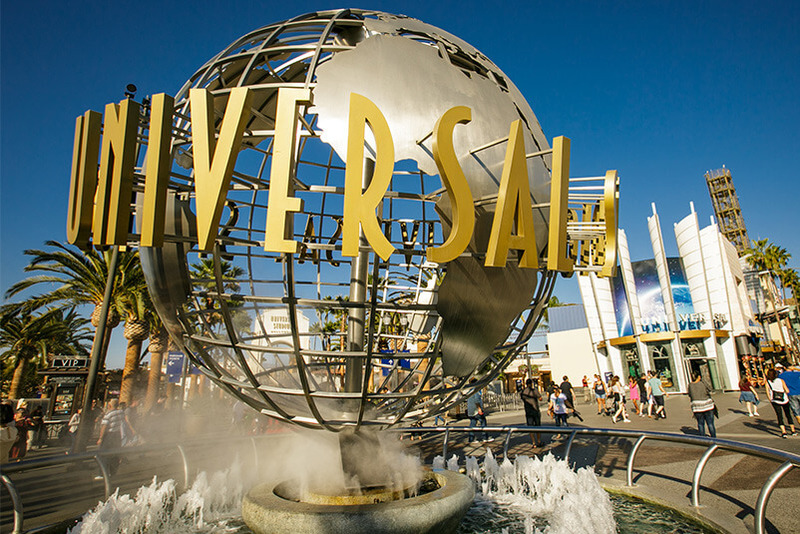 However, when you opt for traveling in the Universal studios Hollywood, you certainly won’t feel any kind of fatigue as you take yourself to the entertainment capital. If you love Hollywood movies and have been a fan all your life then the day spent at the studio is going to be like a dream come true for you. There are several different ways that you can entertain yourself right from the movie-based theme park and Studio Tour, the City Walk entertainment, the fabulous shopping and dining complex, the Universal City Walk Cinemas and the Gibson Amphi-theatre concert and special event venue. The Universal studios Hollywood limo will be able to drive you to this dream theme park that has some of the best features and groundbreaking attractions that you won’t get to find anywhere else in the entire world. This is one studio tour that you are not about to forget for a long time. You will be able to experience firsthand. You will certainly love the ride that Universal studios limo service can provide you with.